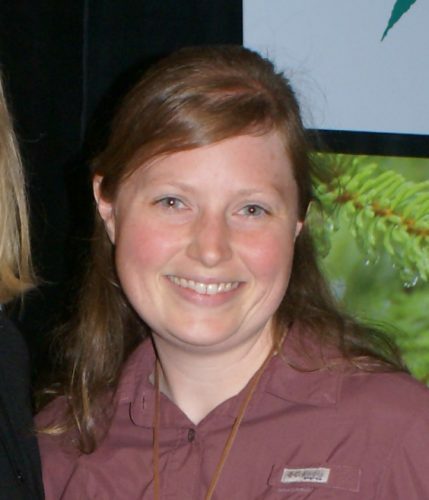 Kathleen Wanner is Executive Director of Vermont Woodlands Association and Chair of the Vermont Tree Farm Committee. Both organizations help private landowners sustainably manage their forests. Kathleen believes strongly in Project Learning Tree for educating the next generation of forest stewards and forest landowners, and for helping teachers, nonformal educators, parents, and caregivers connect children to nature. Since 2012, Kathleen has grown state-wide support for PLT from many different stakeholders and helped increase its capacity through new partnerships and fundraising. In addition to working with schools directly on service-learning projects, VT PLT is also reaching new audiences, for example through PLT workshops for forest landowners and private consulting foresters. Currently Kathleen is collaborating with the Sustainable Forestry Initiative Implementation Committee in Vermont and other stakeholders on new initiatives to help grow the program. Kathleen was a 2019 nominee for National PLT’s Leadership in Education Award. As the Environmental Education Specialist for the Franklin County Soil & Water Conservation District in Ohio, Linda Pettit has been educating youth of all ages about natural resources for more than 25 years. She reaches around 12,000 youth every year through presentations to school classes, after-school, scout and summer camp groups, often using stories and children’s literature as a way to connect children to nature. A Project Learning Tree facilitator since 1996, Linda has led hundreds of PLT professional development workshops to introduce teachers to environmental education. For the past 20 years, Linda has served as regional director of the Environmental Education Council of Ohio. In 1999, she founded and continues to lead T.R.E.E. (Terrific Resources for Environmental Education), a consortium of agencies and organizations that provide environmental education to audiences throughout central Ohio. She coordinates meetings, facilitates collaborative efforts and partnerships, and provides training. Linda was a 2019 nominee for National PLT’s Leadership in Education Award. Brian Plankis is an environmental education consultant who works with under-served K-6 schools in Indianapolis to develop after-school science programs. He conducts Project Learning Tree workshops for the teachers, mentors them in using PLT activities to fit their specific situations and guides them on service-learning projects to improve the quality of their students’ environment. In the past seven years, over 250 students have created zero waste school cafeterias; established school gardens to alleviate food deserts that are prevalent in the students’ communities; removed invasive species; and planted pollinator gardens, native prairie grasses and trees. Some projects also include community awareness efforts to educate local residents about the importance of caring for the new habitat for wildlife. A former preservice professor at Indiana University-Purdue University Indianapolis, Brian would introduce PLT’s curriculum and teaching methods to students training to become teachers. Currently on Indiana’s STEM Task Force, Brian champions environmental education and the inclusion of environmental science and natural resources as STEM careers. Brian was a 2019 nominee for National PLT’s Leadership in Education Award. Ed Lewis is a Procurement Forester for Westrock, one of the world’s largest paper and packaging companies. Ed sources wood from sustainably managed forests in southeast Alabama, Florida, and Georgia to supply Westrock facilities with the raw materials needed for producing paper, cardboard and other packaging. Ed is passionate about sustainability and throughout his 40-year career in forestry he has used Project Learning Tree in a variety of settings to teach others about trees, forests, and green careers, for example, at teacher professional development workshops, events at elementary schools and museums, logger trainings, and gardening programs. Every summer since 1986, Ed has helped lead Alabama’s Teacher Conservation Workshops. These in-depth, multi-day teachers’ tours of forests and wood product mills include training in PLT’s curriculum materials and time for lesson planning to help teachers incorporate teaching about trees, forests, conservation and sustainability into their classroom. He also shares information about careers and job opportunities in the forest industry. Ed received National PLT’s Leadership in Education Award in 2019. Robin Will is supervisory ranger at the St. Marks National Wildlife Refuge in northern Florida, near the Gulf of Mexico. The Refuge is known for its wildlife and migrating birds and Robin knows the Refuge is a powerful learning tool. PLT is incorporated throughout its environmental education program and Robin rains all Refuge staff in PLT—including the law enforcement officers. Robin has been a Florida PLT leader since 1989, helping form its initial steering committee and serving in many other roles since then. She coordinates the PLT Schools program in Wakulla County, in which all public preschools and elementary schools involve their students in hands-on environmental education. She has facilitated more than 130 workshops for educators, who then teach environmental education to students of all ages. She has also mentored countless facilitators who go on to conduct their own PLT workshops. Robin received National PLT’s Leadership in Education Award in 2018. As a consulting forester who usually works with landowners, Holly recognizes the importance of environmental education for people of all ages and backgrounds. She has spent more than a decade revitalizing and leading PLT in Montana and now chairs the Montana PLT Steering Committee. She conducts hands-on PLT workshops for educators, especially in the Flathead area, with a special talent in reaching out to participants and mentoring others to conduct workshops of their own. She excels at all levels of training, from Early Childhood to the Secondary modules. Her Municipal Solid Waste workshop included guest speakers and a field trip to the local waste disposal site. Her Early Childhood workshops offer preschool workers needed credits toward retention and certification and she has also recruited the help of a retired music teacher. And she goes out of her way to provide training in underserved areas, where teachers would normally have to travel hundreds of miles for professional development. Holly promotes PLT through an amazing array of activities. They include her involvement as a member and leader of local chapters of the Society of American Foresters, of Tree Farm, and of Women in Timber. She also does this as a substitute teacher, as a leader at the annual Montana Natural Resources Youth Camp and Family Forest Expo, and through Montana State University Extension Forestry’s Forest Stewardship Workshops. Holly, her husband and two children manage their own 12-acre Tree Farm. Holly received National PLT’s Leadership in Education Award in 2018. Jason Vlcan is Visitor Information Specialist at the National Historic Trails Interpretative Center in Casper, Wyoming. Jason has a keen interest in natural history and helped create Exploring Wyoming’s Natural Environments, a state-specific supplemental guide to many of PLT’s hands-on activities. In his 13 years at the Trails Center, Jason has established connections with a wide range of individuals and organizations, especially educators throughout the state. Each year, more than 30,000 visitors learn about Native Americans’ rich heritage and the history of the pioneers in the West through his hands-on history and nature experiences. Jason is particularly adept at introducing students to the outdoors, including an annual, overnight program with at-risk high school students. The 3-day, 2-night trip takes students in covered wagons across the historic Oregon, Mormon, California and Pony Express trails. They sleep under the stars, eat meals that they cook themselves, and do hands-on activities, including PLT, to explore the outdoors. Many have never camped outside before this experience. Jason received National PLT’s Leadership in Education Award in 2018. Michelle has been an educator in Hawaii for the past 30 years, and has developed and taught science curriculum for primary grade students. When she attended her first PLT workshop in 2012, she immediately saw the value of using PLT to amplify student learning and became a PLT-trained facilitator. Michelle uses PLT in an interdisciplinary fashion by integrating art, math, language arts, music, and movement into her science classes. She has coordinated Family Science Nights to provide opportunities for families to engage in their children’s education; these events highlighted PLT hands-on investigations and included booths for environmental organizations and community partners. Michelle displayed her strong leadership skills when she facilitated PLT workshops for formal, nonformal, and pre-service teachers across the state. As a member of the Hawaii PLT Steering Committee, she used her extensive experience as an educator to help guide PLT’s growth in the state. Most recently Michelle has worked as an interpretive guide by sharing her extensive knowledge about the cultural, astronomical, geological, historical, and environmental features of Hawaii upon thousands of visitors that come to the Mauna Kea Visitor Center. Michelle was named a National PLT Leadership in Education Award honoree in 2018. 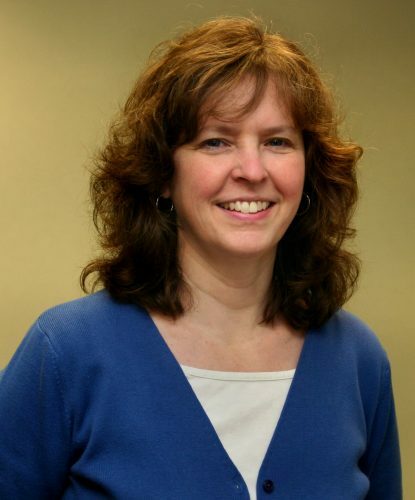 Jennifer Beach is a children’s programmer at the Kenton County Public Library. Jennifer is a Certified Professional Environmental Educator who facilitates training in PLT for teachers from early childhood through high school. Jennifer has brought the two separate facets of urban libraries and environmental education together by using PLT as the vehicle by which she engages youth and adults. Jenny is one of only three people statewide who has received the Kentucky Early Childhood and Education Training Credential with a specialty in Environmental Education. This allows her to offer continuing education units at her early childhood PLT trainings, which has dramatically increased interest and attendance. In addition, she uses her extensive training to provide environmental education in library programming for the general public and in school outreach programs. Most recently, Jennifer has served her second term on the board of directors for the Kentucky Association for Environmental Education, which doubles as the Kentucky PLT steering committee. Jennifer was named a National PLT Leadership in Education Award honoree in 2018. Julie has exemplified leadership in education throughout her career. As a naturalist for the Ohio State Parks, she consistently uses and integrates PLT in her work. Julie has also taught at Hocking College since 2011, where she specializes in environmental education techniques and field biology. With her background in education, she has provided programs for a wide age span, from preschoolers to senior citizens. Her expertise includes being a state-certified environmental educator, NAI-certified interpretive trainer and guide, education specialist for a regional science resource center, stormwater education coordinator, and natural history expert and presenter. Julie is an outstanding facilitator and strong advocate of environmental education, and is an inspiration to future interpreters. Julie was named a National PLT Leadership in Education Award honoree in 2018. Kathleen became a trained PLT facilitator in 2008. Over the past decade, she has taken the initiative to lead PLT workshops each year for area educators and forestry personnel, as well as pre-service workshops at two local colleges. Every summer Kathleen uses PLT activities with Girl Scouts at Camp Pamunkey Ridge, and has worked with several Boy Scout troops on their badges. She has coordinated with a Richmond school to lead a monthly after-school program to get 5th graders outside. For each monthly meeting, she uses PLT activities centered around a theme. She also represents the Department of Forestry and PLT at a variety of outreach events, such as York River State Park Estuaries Day and Explore the Outdoors at the local PBS station. Kathleen was named a National PLT Leadership in Education Award honoree in 2018. Lori came to the St. Marks National Wildlife Refuge in Florida in 2005 and became its first Environmental Education Specialist. She works with groups of all ages—from preschoolers to senior citizens—to provide high-quality, hands-on programs. She has cultivated partnerships throughout the community, including with schools, youth groups, and public agencies. She manages the refuge’s Nature’s Classroom and coordinates its large wildlife festivals, incorporating PLT into her many EE programs. She is active in the League of Environmental Educators of Florida and Florida Literacy Plan Committees. Lori was named National PLT Outstanding Educator in 2017. Through the nonprofit group Trees Forever, Debbie works with communities, landowners, and farmers to conduct hands-on planting projects to diversify and enhance community forests and to establish and restore native plant areas. She also trains volunteers who, in turn, work with adult and youth groups. She designs and facilitates PLT and other professional development opportunities for a wide range of audiences, including Salvation Army seasonal camp employees, Girl Scout leaders, and vocational agriculture teachers. She also helped the national PLT office in a pilot to evaluate various training formats. Debbie was named National PLT Outstanding Educator in 2017. As Children’s Garden Educator at Lewis Ginter Botanical Gardens in Richmond, Tarneshia plans and carries out nature activities for children and their families. Previously she worked as a pre-K teacher at the Goddard School of Woodlake and instructional assistant at the Martin Luther King Preschool Center in Richmond. She has been a leader in promoting environmental education to strengthen early childhood programs throughout Virginia and to help produce online training programs for the national PLT office. Tarneshia was named National PLT Outstanding Educator in 2017. Steve operates Abacus Enterprises, Inc., a firm that develops and uses quantitative methods for land management planning. As a forest biometrician, he works with landowners and the forest industry throughout North America. When he realized the importance of educating young people about the environment, he became involved with Project Learning Tree. He has presented dozens of workshops to teachers, youth group leaders, and other educators throughout the state. His outreach to the University of Wyoming and the Wyoming Professional Teaching Standards Board resulted in teachers now receiving graduate or professional credits when they attend PLT workshops. He has also led Wyoming PLT grant-writing, strategic planning, and other efforts. Steve was named National PLT Outstanding Educator in 2017. When she moved to Colorado from Texas in 2010, Rose became an active, enthusiastic leader in Colorado’s EE community, as she was in Texas. She conducts workshops and programs through the Colorado State Forest Service, Colorado Parks and Wildlife, and many other organizations, reaching preschoolers to senior citizens. She has also conducted PLT workshops for pre-service teachers. 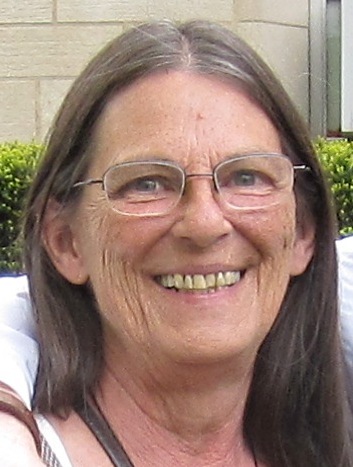 She was instrumental in revamping Colorado’s Envirothon program and in developing workshops for grandparents to share EE with their grandchildren. A career engineer, she pilot-tests new PLT activities and helps with many other institutes and programs. Maurine was named National PLT Outstanding Educator Honoree in 2017 and 2016. Marne provides educational programs, workshops, conferences, and publications on a variety of natural resource topics through Ohio State Extension. She shares her appreciation of the natural world through PLT and other EE programs, such as in creating new materials for the state 4-H program. She is part of a team to create a Youth Scientist Curriculum for middle and high school students, as well as a program for pre-service teachers at Ohio State. 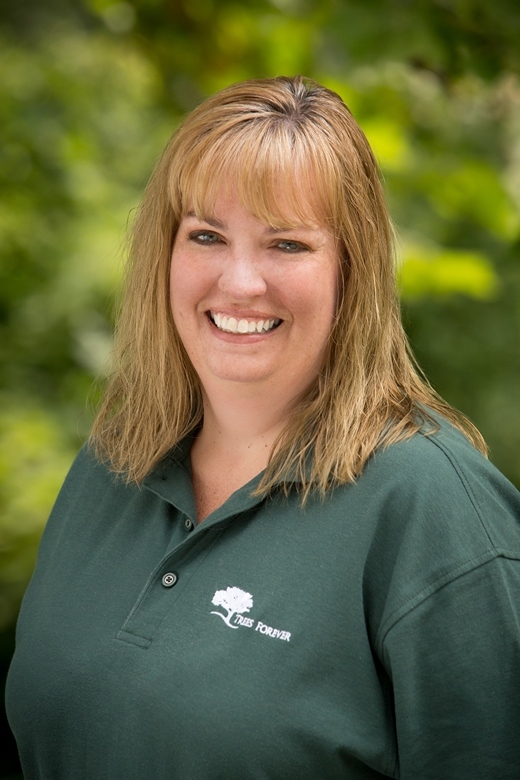 She also co-directs and oversees the Ohio Forestry and Wildlife Conservation camp. Marne was named National PLT Outstanding Educator Honoree in 2017. Chanda frequently uses PLT activities to teach more than 2,000 K–12 students and more than 300 environmental educators each year about the importance of natural resource conservation. Chanda has put her strong leadership skills to use by hosting and co-facilitating 10 PLT workshops to train educators to use the PLT PreK-8 Guide and the Early Childhood Guide, and PLT’s high school modules Focus on Forests and Southeastern Forests and Climate Change. She became a PLT facilitator in 2013 and joined the state PLT steering committee later that year. In 2015 she was elected vice-chair, and in 2018, chair of the committee. She has also served on the board of the Environmental Education Association of South Carolina since 2013 and is currently its vice president. Chanda has coordinated countless networking and professional development opportunities for teachers and informal educators, such as meetups, workshops, and conferences on a variety of environmental topics. Chanda was named National PLT Outstanding Educator Honoree in 2017 and National PLT Leadership in Education Award Honoree in 2018. Karen Johnson Folsom is lead teacher at Nature’s Classroom, part of Hillsborough County Public Schools in Florida, which provides environmental education for about 15,000 sixth graders throughout the county each year. She has developed innovative programs, trained teachers in how they can use environmental education with their students, and set up camps and community events for people of all ages. Her responsibilities as acting site administrator range from creating partnerships to overseeing a safe and healthy environment for the animals on site. Karen has developed programming to extend the site from its primary focus on sixth graders to students in other grades and the greater public. She has provided hundreds of hours of professional development to fellow formal and informal educators throughout Florida. As an active PLT volunteer, she mentors facilitators, leads workshops, and now serves on the Florida PLT Steering Committee. Her passion is in reconnecting learners of all ages to the natural systems that we live in. Karen holds a B.S. in Elementary Education from the University of South Florida and a Master’s in Education from Argosy University. She was honored as Florida PLT Facilitator of the Year in 2015 for her expertise in creating and conducting workshops for fellow educators. Karen was named National PLT Outstanding Educator in 2016. Jennifer Hubbard-Sánchez is the state specialist for sustainable programs and director of the center for environmental education in the College of Agriculture, Food Science, and Sustainable Systems at Kentucky State University. In that role, she connects with Kentuckians of all ages, in both English and Spanish, particularly to teach about climate change. She has been instrumental in making Kentucky PLT and the Kentucky Association for Environmental Education regional and national leaders in the field of environmental education. Jennifer holds a B.S. in Modern Languages from Saint Michael’s College in Colchester, Vermont, an M.A. in Anthropology from the Universidad de las Américas in Puebla, Mexico, and an M.S. in Environmental Studies from Kentucky State University. She became a Kentucky State Certified Professional Environmental Education in 2014 and was honored as Kentucky PLT’s Outstanding Educator in 2015. Jennifer was named a National PLT Outstanding Educator in 2016, as well as National PLT Outstanding Educator Honoree in 2015. Susan Snyder creates and leads programs for K-12 students in ecology, soil science, and other topics. She has developed popular programs about weather and nature journaling. In addition to developing and leading school field trips, she works with Scout groups, summer campers, and the general public. Among her many volunteer activities for PLT, she facilitates workshops for early childhood educators. Thanks to her efforts, teachers can receive Career-Ladder credit for participating. Susan holds a B.S. in Journalism/Communications from Ball State University and a M.S. in Ecological Teaching & Learning from Lesley University. She is a Utah Certified Environmental Educator. In 2011, she was honored as the Vern A. Fridley Utah Environmental Educator of the Year. Susan has created partnerships with organizations throughout the community. Susan was named National PLT Outstanding Educator in 2016. 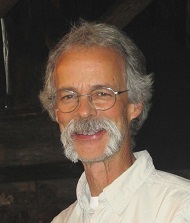 Kevin Doran joined the Maine Forest Service as natural science educator in 1999. He has used PLT as a cornerstone of his programs with children throughout the state. He has been involved with Maine’s Forest Inventory Growth program, co-authored the Environmental Literacy Plan, and actively supported Envirothon. He has been instrumental in training more than 90% of the Maine Forest Service’s field and office staff in PLT, helping them to increase their outreach to others in their communities. Kevin leads annual PLT workshops for pre-service teachers at five colleges in the state. Kevin was named National PLT Outstanding Educator Honoree in 2016. 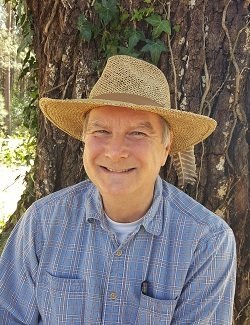 David Shelley’s goal is to improve the understanding, appreciation, and stewardship of natural and cultural resource dimensions of forests and rivers. Working at the Congaree National Park’s Old-Growth Bottomland Forest Research and Education Center, he provides PLT resources and other workshops to teachers, students, park visitors, and others. He is the driving force behind an annual outreach program for educators in the South Carolina midlands, as well as a project that links art and science. He has also supported Park Service efforts to communicate about climate change. David was named National PLT Outstanding Educator Honoree in 2016. Jessica Olenych works with K-12 students and teachers on forestry and watershed education, particularly in the New York City watershed. She uses PLT in her work with the NYC Watershed Bus Tours program and with Green Connections, which connect urban students with the environment and with their peers in rural communities. She also trains teachers using PLT through the Watershed Forestry Institute and through Forestry Teacher Tours. 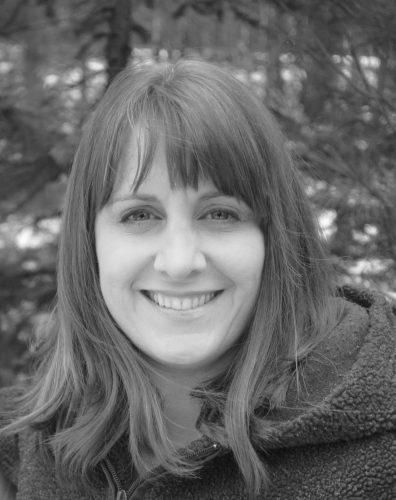 Jessica co-chaired the committee to organize the North American Association for Environmental Education’s national conference in 2010. Jessica was named National PLT Outstanding Educator Honoree in 2015. Sara Ivey is the Executive Director of the Oklahoma GreenSchools Program, with more than 115 registered schools, which is part of the Department of Environmental Quality’s education efforts. She has developed partnerships with private corporations, medical professionals, Native American tribes, local schools, universities, and governmental agencies to secure financial support for the program and provide technical expertise, supplies, and professional development trainings. She is President of the Oklahoma Association for Environmental Education and sits on the Oklahoma PLT Steering Committee. Sara is a frequent PLT presenter and facilitator. She works closely with community members, school administrators, and others to expand environmental education in the state. Sara was named National PLT Outstanding Educator Honoree in 2015. Through public, school, and youth group programs at Oxbow, Jan Forrest Kent has connected people of all ages to the natural world around them. Since she began organizing outdoor and environmental education activities at Oxbow in 2011, the program has more than doubled in size. In the past seven years, Jan has provided professional development to more than 1,350 educators, and since 2011 alone, she has engaged over 7,000 students in PLT activities. 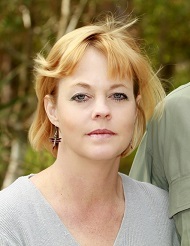 For example, Jan was an Environmental Science and Natural Resources instructor for Georgia’s Governor’s Honors Program, where she provided six weeks of study to high school students. Jan ensures PLT activities are aligned to state and national academic standards. She expands connections to STEM subjects to meet the needs of today’s K-12 educators and opportunities for students to apply their learning to the real world, for example through Girl Scout summer camps and Columbus State University. Jan serves on the Georgia PLT Steering Committee, Georgia Forestry Foundation’s Teacher Conservation Workshop Committee, and the Advisory Board for Advanced Training in Environmental Education in Georgia. She was named Georgia PLT Outstanding Educator in 2011. Jan was named National PLT Outstanding Educator in 2014, as well as National PLT Outstanding Educator Honoree in 2013. Lilly Goodman-Allwright reaches both adults and children in her numerous environmental education activities. Her experience includes positions as a National Park Service interpretive ranger, wildlife educator with the Alaska Department of Fish and Game, state education specialist, curriculum writer, and instructor of professional development courses. 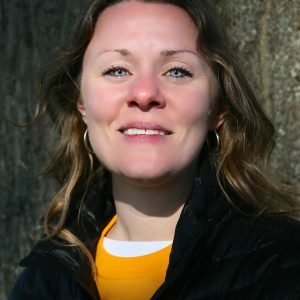 She has introduced hundreds of Alaskan classroom teachers and informal educators to outdoor nature-based instruction through the workshops and classes that she teaches at the University of Alaska and Alaska Pacific University, through state and federal agencies, and at parks and nature centers. She works with school administrators across the state to promote PLT. The Iditarod School District, for example, included a course in fire science and PLT activities in its annual in-service training for all teachers in the district. Lilly was named National PLT Outstanding Educator Honoree 2014. Shelley Flanary uses PLT as a primary resource to work with both children and adults. Whether visiting classrooms with age-appropriate lessons or conducting programs at Cossatot River State Park in southwest Arkansas, Shelley transmits a sense of responsibility and stewardship to all she reaches. Starting as a behind-the-scenes program assistant, she rose through her agency and is a Certified Interpretative Guide through the National Association for Interpretation. She regularly conducts PLT workshops for teachers, pre-service teachers, youth group leaders, and others. Shelley was named National PLT Outstanding Educator Honoree in 2014. Robert (Bob) Carter first helped bring PLT to Illinois over 30 years ago by partnering with many organizations. A few years ago, the program needed a new home, and he worked tirelessly to reestablish it with the Environmental Education Association of Illinois, the current state sponsor. He has made PLT a cornerstone of his work with thousands of pre-service teachers, as well as guiding his graduate assistants in how to use PLT in their own work. He designed a pre-service facilitator team composed of professors from a variety of disciplines across Illinois campuses to embed PLT into their existing syllabi. In addition to serving on the Illinois PLT Steering Committee, he has also taken on leadership positions with the North American Association of Environmental Education and the National Association for Interpretation. Bob was named National PLT Environmental Educator Honoree in 2014. Maureen Stine is the Michigan GreenSchools program liaison for Cheboygan, Otsego, and Presque Isle counties; co-chair of the Getting Kids Outdoors Northern Michigan Coalition advisory committee; and a member of the Leadership Team for the Northeast Michigan Great Lakes Stewardship Initiative. She also volunteers on the U.S. Department of Agriculture Earth Team, which provides environmental education to children K-12 and trains teachers to use environmental education with their students. Maureen uses PLT activities and service-learning opportunities to provide meaningful experiences for students of all ages, with an emphasis on trees, soils, and water quality issues. She recently guided 125 students on the Cheboygan River to test temperature and pH, gather macroinvertebrates, and remove monofilament fishing line from the river banks. The students are now working on a public awareness campaign and installing trash receptacles and interpretive signage to educate others. Maureen began to establish close working relationships with school districts in the Northern Lower Peninsula when she moved to Michigan 10 years ago. She conducts PLT workshops that help teachers easily and effectively teach about the environment, often in outdoor, hands-on situations. She also works with the Junior Master Gardener program, 4-H, several Conservation Districts’ Master Naturalist Programs, the Michigan Alliance of Environmental and Outdoor Education, and the National Association for Interpretation. She was invited to join the Michigan STEM Partnership, which is helping to build the scientific, technology, engineering, and mathematics skills of students throughout the state and prepare them for college and science careers. Maureen was named National PLT Outstanding Educator in 2013. Allison Hall Kiesler was most recently the Children’s Garden Programmer at the Lewis Ginter Botanical Garden in Richmond, Virginia, where she developed K-5 outdoor discovery programs, training, and resources. Previously, she taught science to grades 5-8 at Orchard House School and ran an educational consulting firm called Earthwise Science Excursions in the Classroom. She was known for her expertise in involving students in environmental and outdoor experiences, and providing access to green areas in urban settings. She developed other educational programs, interpretive exhibits, and self-guided trails for Maymont Nature Center, the Children’s Museum of Richmond, and the Mathematics and Science Center, that have been enjoyed by thousands of Richmond area families. Allison, who was one of the first Virginia educators to participate in a PLT workshop more than 30 years ago, enjoyed sharing her knowledge and experience with other educators. She led numerous workshops and served as a mentor to many educators. Even when she had to resign from her position at the Botanical Garden due to health reasons, she continued to work on PLT and other environmental education activities. Generations of students and teachers recall the impact Allison had on their appreciation for the natural world and career decisions. Allison was named National PLT Outstanding Educator in 2013. Michelle Viney has been involved in environmental education in Arkansas for over 15 years. Trained as a PLT facilitator in 2007, she has conducted workshops, presentations, and field days, and she enjoys mentoring new PLT facilitators. After joining Audubon Arkansas in 2008, she worked to organize habitat restoration and conduct other conservation education activities. She developed a program called Volunteering Is for the Birds with a focus on habitat. Previously, she was a field instructor for an outdoor science school. As a college student, she became a charter member of the Arkansas Environmental Education Association and has since served multiple terms as board member and president. She also uses PLT activities at Master Gardener and Master Naturalist trainings and other community settings and events. Michelle was named National PLT Outstanding Educator Honoree in 2013. 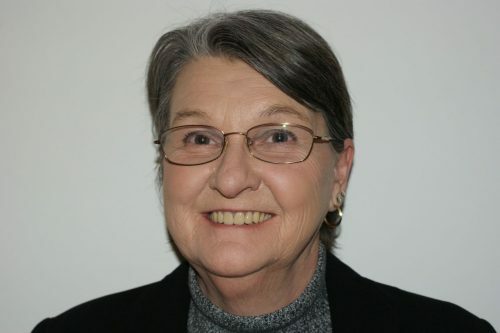 Beverly Smith directs the Larry Box Conservation Education Center, a facility owned and operated by the Starkville, Mississippi, Public School District and located on the Noxubee National Wildlife Refuge. She teaches and serves as a liaison between the refuge and the school district. As the second director of the Center, she has found ways to increase its outreach and functionality to the school district, other schools, and the community. She uses PLT in almost every activity she presents. She also facilitates PLT workshops annually for preservice teachers at Mississippi State University. Beverly was named National PLT Outstanding Educator Honoree in 2013. Dusty is a senior regional community naturalist for Audubon Rockies, working to help children of all ages become engaged in local ecosystems. He is also an instructor for the Wilderness Medical Institute of the National Outdoor Leadership School. Although he has lived and taught in California and Louisiana, he returned to Wyoming to share his love of nature in his home state. He set up a traveling nature center to visit rural communities and has shared this “classroom without walls” concept at numerous conferences. He and his wife Jacelyn, also a naturalist, hold PLT workshops for pre-service educators at the University of Wyoming and Sheridan College. Many educators have cited their workshops as the impetus to use PLT in their own classrooms. Dusty was named National PLT Outstanding Educator Honoree in 2013. Tracy McMullen works with students of all ages, including adult learners, at DeVries Nature Conservancy. When it first opened, DeVries had around 100 educational visitors a year; it now has more than 3,000 visitors, largely due to the high-quality programs Tracy offers. Tracy has developed a student intern program at DeVries that offers PLT training, as well as training dozens of teachers each year in PLT. Tracy also attended and now teaches at the Michigan Department of Natural Resources’ Summer Academy, a one-week natural resources management immersion program. She serves on the board of the Michigan Alliance for Environmental and Outdoor Education and often provides a link between PLT and many other organizations. Tracy was named National PLT Outstanding Educator Honoree in 2012. Last year, Trish Penny educated nearly 6,000 children and adults—about 15% of the entire population of her county in Wyoming! Her environmental education efforts cover a range of activities, including creating gardens, leading environmental camps, and organizing special events. She relies on PLT to complement all of these activities. Trish works with the University of Wyoming to provide PLT workshops for pre-service educators, as well as working with the schools in her area. 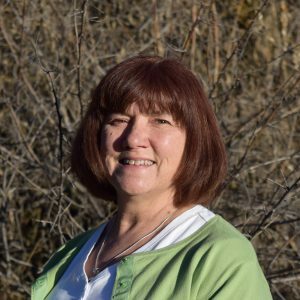 An eight-year member of the Wyoming Steering Committee, Trish is valued for the stability and energy she brings to the PLT program. Trish was named National PLT Outstanding Educator Honoree in 2012. Joy Barney, Conservation Education Program Specialist with the U.S. Forest Service’s Lake Tahoe Basin Management Unit, coordinates and implements programs that connect children and adults to nature in five counties around Lake Tahoe. 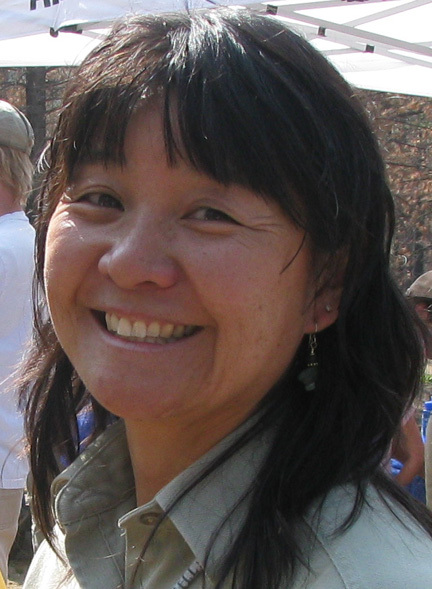 She has spent her career working in California’s parks and forests. When she came to Lake Tahoe in 2007, she found many children were surrounded by the forest but not connected to it. In response, she developed innovative programs for kindergarten through high school students. She created Generation Green of Lake Tahoe, through which high school students learn job skills, teamwork, and an understanding of natural resource management. With a grant from PLT’s GreenWorks! service-learning program, she developed the Angora Burn Tree Education and Planting project, which involved students and the community in learning about and contributing to forest restoration after the devastating 2007 Angora Fire. She also helped establish the South Tahoe Environmental Education Coalition, made up of government agencies, schools, and nonprofit groups. Joy was named National PLT Outstanding Educator in 2011. Susan Campbell, Education Coordinator with the City of San Antonio Parks and Recreation Natural Areas, is recognized for her enthusiasm and creativity in educating Texans of all ages about the environment. Among her many initiatives, she developed URock! Get Outdoors, a one-week camp for middle school students from the South Side of San Antonio. She leads field tours along the Medina River for thousands of students and adults each year. She has also created programs for home-schooled students, senior adults, and students at the University of Texas at San Antonio (UTSA) who are learning to become classroom teachers. Susan serves on the advisory board of the City of San Antonio’s SAVE (Strengthening Awareness and Valuing the Environment) Program, which provides environmental education training to more than 500 teachers every year. She is the South Texas representative on the board of the Texas Association for Environmental Education and is a member of the Pre-Service Teacher Advisory Board at UTSA. Susan was named National PLT Outstanding Educator in 2011. Joan Chadde has served on the board of the Michigan Alliance for Environmental and Outdoor Education since 2006, including a term as president in 2008-2009. In addition, she has taught a course called Communicating Science at Michigan Tech every semester since 1998. As part of the course, university students organize, plan, and conduct Family Forest Nights at 19 elementary schools in five counties. Joan initiated Outdoor Science Investigations field trips for grades 1 to 6, which now involve 3,000 students annually. Joan is also the co-coordinator of the Environmental Education (EE) & Urban Schools Teacher Training Initiative, which teaches urban educators how to incorporate the surrounding environment into their lessons. She regularly conducts PLT workshops and summer institutes. Joan was named National PLT Outstanding Educator Honoree in 2011. It was Diane St. Jean’s passion for integrated learning that first brought her to PLT. A reading teacher at Barrington Middle School in Barrington, New Hampshire, she attended her first workshop in 2008 and immediately saw the potential in using PLT with her seventh and eighth grade students. The next year, Diane took part in New Hampshire’s A Forest For Every Classroom, a year-long program that immerses teachers in the study of natural science and strategies for integrating it into their curricula. She developed an interdisciplinary unit to connect her students with their school forest. She created a short documentary about the area, helped her students experience their forest, and then challenged them to write their thoughts. She has also developed other strategies to engage her students in the environment throughout the school year while strengthening their language arts skills. She is known as an “outside-the-box” teacher who is always thinking of ways to improve student learning. Diane was named National PLT Outstanding Educator Honoree in 2011. After a 30-year career as a classroom teacher, Michael Stewart continued to follow his love of the outdoors and environmental education by becoming a naturalist with the Miami County Park District in Troy, Ohio. (His nickname as a naturalist is M.J. BAT!) Michael has taken on several important and time-consuming PLT challenges in Ohio, including correlating PLT to the state’s science and social studies standards, helping to roll out PLT’s secondary module Global Connections: Forests of the World, and assisting with the development of PLT’s Early Childhood program. He uses PLT in his work with students of all ages and is an effective leader of both youth and teachers. A PLT facilitator, Michael has conducted more than 35 workshops and presentations to date, and he is well-known as a catalyst who inspires other educators to get children outside to learn. Michael was named National PLT Outstanding Educator Honoree in 2011. 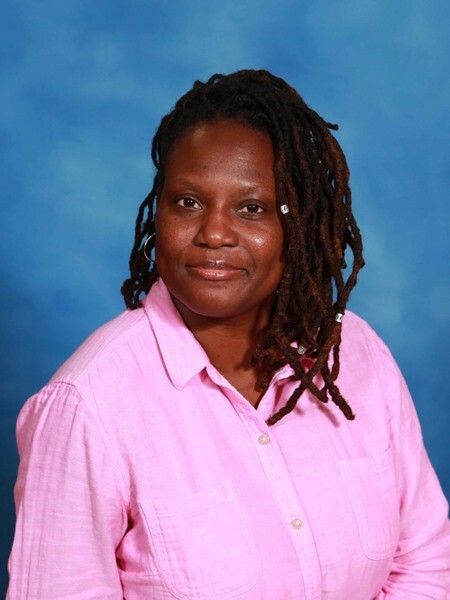 Ginger Reasonover is a nonformal educator who reaches students through her work as a science lab coordinator, as well as through Scout, church, and other community groups. She has helped shape environmental education at her school by developing an outdoor classroom, school-wide recycling, and other activities to green her school. Thanks to Ginger’s efforts, the school is recognized as a model on the Environmental Education in Tennessee website, and she often answers inquiries from other schools who aspire to meet that criteria. She serves on the Tennessee Outdoor Classroom Symposium committee and the Tennessee Environmental Literacy Plan committee. She uses PLT with 360 students, PreK through grade 4. Ginger was named National PLT Outstanding Educator Honoree in 2011. The first PLT workshop that Barbara Dunbar attended, in 2004, opened up a new world of learning to her. She realized that PLT could help her effectively teach environmental education without a scientific background, and PLT paved her way to becoming a Virginia Master Naturalist. As a volunteer, she works with many different schools on garden projects and other outdoor learning activities. She is also the coordinator for children’s programs at Williamsburg Botanical Gardens, where she also uses PLT. To promote recycling, Barbara received grants for an innovative program that involves not only students but also custodians in touring the local recycling facility. Barbara is known as a great “connector” between different people and organizations interested in the environment. Barbara was named National PLT Outstanding Educator Honoree in 2011. As a senior community naturalist with Audubon Wyoming, Jacelyn Downey covers the entire state. She connects communities with the flora and fauna of their region, protecting Wyoming’s way of life while preserving the integrity of natural systems. She often uses PLT on hikes, field trips, and other activities with children and adults. Each year, she and her husband Dusty, also a naturalist, conduct PLT workshops for pre-service teachers at the University of Wyoming. She also serves on Wyoming PLT’s steering committee and presents many PLT workshops and activities to participants of all ages. She is known to be a pleasure to work with and a pleasure to watch in action. Jacelyn was named National PLT Outstanding Educator Honoree in 2011. Reeda Hart has worked at the Center for Integrative Natural Science and Mathematics at Northern Kentucky University (NKU) in Highland Heights for the past seven years. Before that, she was an elementary school teacher for 27 years. In her current role as science outreach specialist with NKU, Reeda takes PLT into classrooms in six school systems, integrating the environment into academic lessons and modeling teaching practices for teachers. She has created units on topics ranging from water to energy to life cycles, using PLT as a foundation to provide interactive content that supplements the teaching of core subjects, methods for elaboration, and assessment tools. Over a three-year period during which she worked with six schools, the schools’ Academic Index scores rose significantly. Reeda also helps the schools design and develop outdoor classrooms, emphasizing PLT training for teachers to ensure the spaces are used as effective teaching tools. Reeda also helped develop PLT’s new Early Childhood program, which was launched nationally this year. This curriculum resource, designed specifically for early childhood educators, uses developmentally appropriate techniques for connecting young students to nature. With Reeda’s assistance, NKU is beginning an Early Childhood Alliance to provide PLT training to local preschool teachers. Reeda was named National PLT Outstanding Educator in 2010. 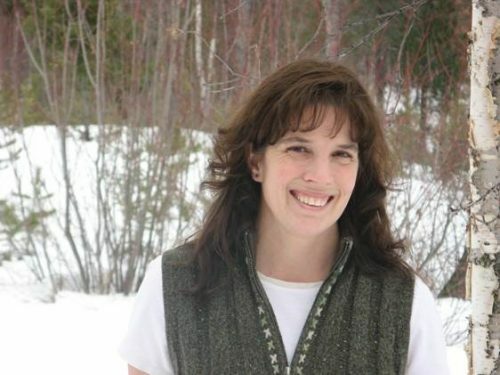 Susan Cox, a conservation education coordinator for the U.S. Forest Service in Durham, New Hampshire, began her career as a forester specializing in forest health. Later, she became interested in pursuing a career that specifically involved adult learners, so she earned a master’s degree in adult education. Susan promotes learning about forests and the environment by forging partnerships between natural resource professionals and educators within the 20-state northeastern region. She incorporates PLT’s hands-on curriculum to provide educators with teaching strategies and science content so that they, in turn, can train teachers, youth program leaders, and students. 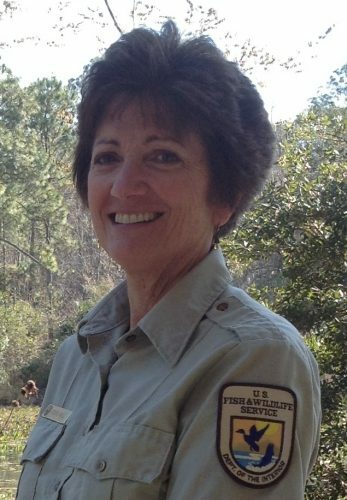 Susan helps advise the U.S. Forest Service in its education and outreach mission. She helped design and deliver programs for teachers and other educators in several other states, including teacher forestry tours in Maine and watershed institutes for teachers in New York. Nationally, she has advised the Council of State Science Supervisors on incorporating environmental education into state science standards and other policies to enhance science literacy and instruction. In New Hampshire, she is part of a team working on developing a statewide environmental literacy plan. Susan has helped New Hampshire PLT design and implement “A Forest for Every Classroom,” a year-long professional development series for middle and high school educators that uses place-based education to foster student understanding of—and appreciation for—the forested lands in their communities. Susan is past president of New Hampshire Environmental Educators, the state’s professional environmental education organization, as well as an active participant in the NH Science Teacher Leaders Group. Susan was named National PLT Outstanding Educator in 2010. Schanee’ Anderson oversees a staff of five, as well as dozens of volunteers, who provide educational programs to students who visit the Sedgwick County Zoo. She has found that PLT is an ideal resource for this purpose. She shares what she learns with other nonformal educators, including other members of the Association of Zoos and Aquariums. She is a member of the AZA Conservation Education Committee and the Paraguay Conservation Partnership. (She conducted the first-ever PLT workshops in Paraguay!) Schanee’ was the president of the Kansas Association for Conservation and Environmental Education (the state sponsor for PLT) when it hosted the PLT International Conference in Wichita in 2008. She also helped host the Kansas GreenSchools Conference. Many of the people she has mentored have gone on to become environmental education leaders in other institutions—a testament to her leadership. Schanee’ was named National PLT Outstanding Educator Honoree in 2010. Melissa Eldridge provides natural resource education for pre-K through adults. One of her main projects has been to involve her local community in restoring the Boyce Elementary Nature Trail, evolving it into a learning and recreational resource for the school district. She has incorporated a field trip to the trail for all elementary schools and teaches teachers how to use the trail in their own lessons. She guided Ionia’s science curriculum director for grades 3-5 in PLT activities, sponsoring several in-service training workshops for teachers at all levels. Thanks to her efforts revising the workshops offered, teachers can now earn college credits for participation. She promotes PLT at conferences and often leads workshops throughout the state. She is known as a “go-to” person on whom Michigan PLT can always rely. Melissa was named National PLT Outstanding Educator Honoree in 2010. Laura Beiser assists many environmental education organizations that receive nonpoint watershed funds, including Mississippi PLT. For the past 10 years, she has planned the state’s Aquafairs, which involve 2,000–3,000 students per year in a field day that includes PLT activities. She worked with professional puppeteers to produce a watershed-related show that now is presented free of charge throughout the state. She served on the committee that developed Connecting Students to Natural Resources, in which an educator worked with teachers in five counties to present environmental education in classrooms, which resulted in improved test scores. She has been a trained PLT facilitator from the outset of Mississippi PLT. She is incoming president of the Mississippi Environmental Education Association and serves on its Environmental Literacy Committee. Laura was named National PLT Outstanding Educator Honoree in 2010. Laurie Root has trained more educators and recruited more facilitators than anyone else in South Dakota PLT history! She excels in teaching about the state’s wildlife, habitats, natural history, and outdoor skills to people of all ages. She is the hub connecting many spokes of environmental education activity in South Dakota, helping teachers partner with natural resource professionals and building a community of educators and others who are interested in the environment. Laurie brings a sense of humor, an amazing connection to her audience, and the power to build relationships to every presentation she gives. In addition to providing traditional teacher workshops, she has been instrumental in training day care facilities, Head Start staff, and youth group leaders. 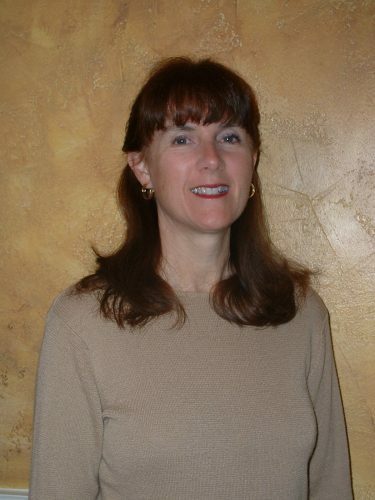 Laurie was named National PLT Outstanding Educator Honoree in 2010. As a forester, Michael Murphrey is involved with a range of forest management and ecology issues, as well as working to educate students, educators, and landowners. His current work involves increasing public awareness about southern pine beetle and invasive species, as well as conservation education. He has hosted workshops to train Citizen Scientists to identify and report invasive plants. He has made numerous contributions to PLT as a facilitator and fundraiser (for example, auctioning a specially cooked salmon dinner). He is considered one of the state’s top facilitators and has participated in at least 65 PLT events to date. He developed a program called Erosion in Motion to teach fourth and fifth graders about soil erosion prevention. He also has organized day-long forest awareness programs and community tree-planting events. Michael was named National PLT Outstanding Educator Honoree in 2010. As a fourth and fifth grade teacher, Kayleen Pritchard used PLT with her students, taking them outdoors to explore the environment and develop an outdoor learning site. She became responsible for the school district’s science curriculum and involved many teachers in PLT professional development. She also integrated PLT lessons into curricula for the district. Now, as a consultant for the Pacific Education Institute, she incorporates PLT into district-wide curriculum throughout the state, presents integrated models of environmental education at conferences, facilitates PLT professional development, and interacts with students. She helped to develop and write a field investigation guide to show how environmental education achieves science standards. She also served on the state’s Environment and Sustainability committee to draft environment and sustainability standards. Kayleen was named National PLT Outstanding Educator Honoree in 2010. Patricia (Tricia) Dunlap grew up in the Los Angeles area, but spent many weekends and vacations enjoying the unbuilt environment. “My love of the outdoors has defined who I am and what I have chosen to do for all my life,” she says, remembering the camping trips and picnics she took with her family as a child. During college, she became a naturalist-intern at Foothill Horizons Outdoor School in Sonora, where she realized that teaching was the way for her to share her love of the outdoors with others. She earned her teaching credentials in 1992 and has taught in a variety of settings ever since. 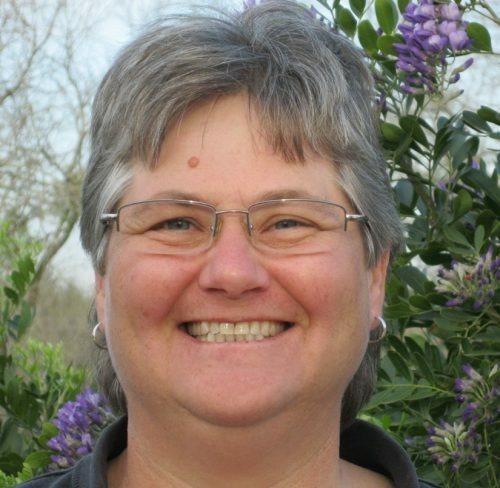 Tricia is a science and environmental education consultant, coordinating forestry and other environmental programs within the Tuolumne County Superintendent of Schools Office. She teaches science at Curtis Creek Elementary School and also works with Special Education interns for the Stanislaus County Office of Education. In each of these roles, PLT is front and center. Tricia’s goal is to connect youth with the natural forest community that surrounds them. She organized a program called the Tuolumne County Forestry Youth Partnership, in which high school students shadow U.S. Forest Service staff for six weeks during the summer. Through a PLT GreenWorks! grant, students in the program learned about fire ecology and participated in a unique field trip to the Mt. Elizabeth fire lookout station. 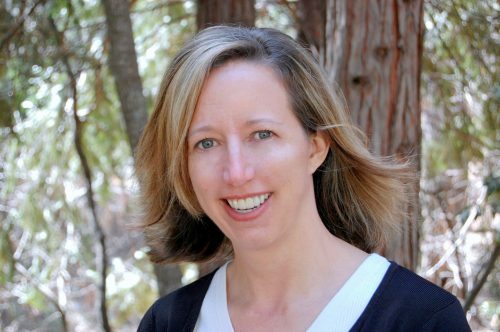 In 2006, Tricia developed the concept and raised the funding for California’s fourth Forestry Institute for Teachers, a week-long program for K-12 educators. In her role as the Region 6 Coordinator for the California Regional Environmental Education Community Network, Tricia also plans and carries out workshops for classroom teachers and after-school leaders. Tricia was named National PLT Outstanding Educator in 2009. Lucy Diggins-Wold, an information and education specialist in Green River, Wyoming, finds teachable moments at every opportunity. Her weekly radio spots with Wyoming Game & Fish carry her voice and messages about the environment throughout southwest Wyoming. In her work with school programs, youth camps, teacher workshops, and other activities, she consistently seeks to get students (adults or kids) outdoors, learning about the environment first-hand. She accomplishes this when she visits classrooms, teaches at the annual Fish & Game Youth Camp, and holds workshops for educators. While earning her BS degree in Parks Recreation Management from Idaho State University, she met Rick Bidwell, a contributor of the very first PLT guide. She went to her first formal training in 1983 and has been using PLT ever since. She uses PLT materials because the activities are “fun with a purpose” and have withstood the test of time. For 20 years, she was a trainer and mentor at the Alpine Environmental Education Conference, which prepares generations of teachers to become environmental educators. She is also a mainstay of Wyoming PLT, often traveling across the state to facilitate workshops and help out wherever she can. She’s currently secretary of the steering committee and the driving force behind developing a long-range strategic plan. Lucy’s dedication to environmental education can be summed up in a comment she made recently to members of the Wyoming PLT steering committee. She stressed that PLT facilitators must stay the course and be dedicated to environmental education, not just in their head, but also in their hearts. Lucy was named National PLT Outstanding Educator in 2009. Jay was named National PLT Outstanding Educator Honoree in 2009. After a long and successful career as a science teacher, Michael (Mike) Mansour still maintains his zeal for the outdoors and environmental education as a naturalist at Hawk Woods Nature Center. He directs a number of programs for children and adults at the city-owned facility, often drawing on PLT. Mike began his professional career as a fourth grade teacher in 1969. A year later, he organized the first Earth Day for Pontiac schools and developed creative, effective programs both inside and outside the classroom. He went on to teach middle school for more than 35 years. During his many years of teaching, he has found PLT to be an important resource. Mike also introduces PLT to students at Wayne State University, where he teaches an Environmental Science class, and has mentored both students and teachers in their use of PLT. Mike was named National PLT Outstanding Educator Honoree in 2009. 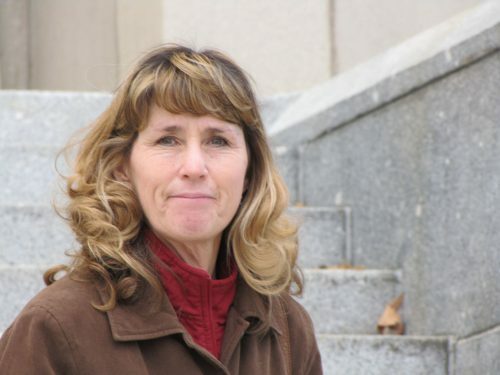 Jeannine May, a former high school science teacher, has worked for the USDA Natural Resources Conservation Service for 25 years. She works with K-12 and college students, blending the agency mission of “helping people help the land” with environmental education. She was trained at the first PLT facilitators’ workshop held in Mississippi in the 1980s. She has developed a water education program for Mississippi youth, as well as a popular mascot named Sam E. Soil. Using PLT, she has formed a team of resource specialists and educators to look at how environmental education can improve student learning in Mississippi, drawing on the experience of Oil City Elementary Magnet School in neighboring Louisiana. She facilitates PLT workshops and spreads the PLT message through her agency’s 82 offices throughout the state. Jeannine was named National PLT Outstanding Educator Honoree in 2009. 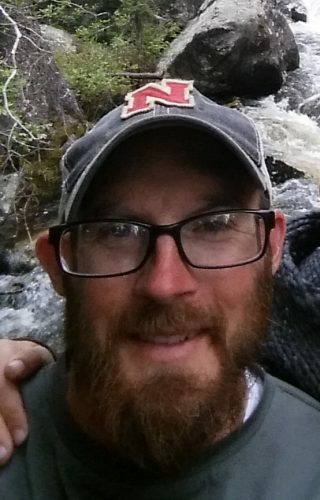 Jonathan (Jon) Nute is a professional forester who uses PLT to make the connection between natural resources and education. After growing up in New Hampshire’s forests, he earned an undergraduate degree in history and considered a career in law before returning to the woods. He worked as a logger for seven years and then earned a graduate degree in forestry. In his current position, Jon leads nature walks, works with urban youth in a summer program, and trains teachers how to use PLT in their classrooms, among many other initiatives. He draws on PLT in his work with pre-service teachers, landowners, and community stakeholders. Jon promotes PLT to other foresters across the state, encouraging them to use PLT’s resources in their forest education programs. He continually embodies PLT’s goals in his work while modeling its effective use to students and parents. Jon was named National PLT Outstanding Educator Honoree in 2009. When Ginger Boswell and her husband first purchased forestland in 1993, they began inviting students from the local school to their property. A district state forester would accompany the students, conduct a forestry presentation, and do PLT activities with the youth. Ginger was so inspired with the PLT program that in 1999 she attended the Texas Forestry Association’s Teachers’ Conservation Institute and a year later became trained as a PLT facilitator. Every year, she leads PLT activities for the Texas Forest Service’s annual Houston’s Backyard program and helps with the “Walk in the Forest” PLT workshop for pre-service educators from Sam Houston State University. Whether she’s leading a workshop or simply conducting a PLT activity, Ginger introduces teachers and students to the first-hand perspectives of a land steward. 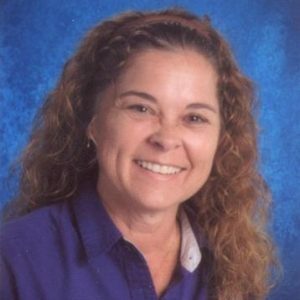 Ginger was named National PLT Outstanding Educator Honoree in 2008. Gail Lutowski, an education program specialist, uses PLT activities and learning methods as a foundation for the many outdoor education programs she develops for the University of Georgia’s Mary Kahrs Warnell Forest Education Center in Guyton. Gail’s programs have reached over 20,000 students and teachers since the Center opened in 2001. Gail leads K-12 field trips for local area schools and youth groups around the Center’s 3,300-acre working forest. She also coordinates the Savannah Society of American Foresters (SAF) chapter Walk in the Warnell Forest educational program for fourth grade students, teachers, and parents that is used as a model for other SAF chapters. In 1997, Gail was trained in PLT; in 2001, she became a PLT facilitator. She conducts PLT training workshops for local school teachers, pre-service teachers, area foresters, and other natural resource professionals to teach others how to use PLT with their students. As a Regional Coordinator for the Georgia PLT program, she serves as a team leader for all PLT facilitators in her 15-county district, sets workshop goals, and mentors facilitators. Gail researches school systems, PTO groups, Scouts, day care centers, after-school programs, and other groups that would benefit from PLT training and directs education leaders and curriculum coordinators to workshop opportunities. For example, she initiated a partnership with Georgia Southern State University College of Education in Statesboro to make PLT educator workshops a part of the required curriculum for all senior-level pre-service teachers, and she works with Regional Educational Service Agencies to establish PLT in school systems. Gail devotes much personal time to community groups, schools, and professional associations. She began a Georgia Adopt-A-Wetland program for Effingham County seventh grade students, and formed an after-school program for girls in grades 5-9 to encourage them to pursue careers in science. She works with her local FFA chapter, Boy Scout, Girl Scout, and Venture Crew troops and coaches several Science Olympiad events at the middle and high school levels. Gail was named National PLT Outstanding Educator in 2007, as well as National PLT Outstanding Educator Honoree in 2006. Melanie Cornelius oversees the elementary science curriculum of Frisco Independent School District in Frisco, Texas, teaching resources, and professional development. Two days a week, she teaches bilingual science at one of Frisco’s elementary schools. 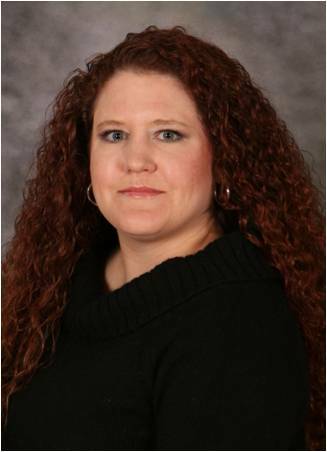 Melanie joined Frisco Independent School District in 2001. She helps elementary teachers in 22 schools deliver science education to approximately 8,000 elementary-aged students speaking 35 different languages in this booming suburb north of Dallas. When her school district’s science curriculum was rewritten in 2003, Melanie was instrumental in making PLT activities a requirement for specific units in grades two, four, and five. Melanie holds PLT professional development workshops several times a year for those grade-level teachers with science responsibilities. For the past three years, Melanie has acquired U.S. Department of Education grants to implement these trainings. Last year, she expanded the experience to a weekend on Lake Texoma where teachers not only received training in the PLT activities required by the curriculum but also advanced training in differentiated instruction for English Language Learners (ELLs). Melanie has found PLT to be very effective with students from all backgrounds. She believes her school district’s ELLs have improved performance on benchmarks for state-mandated science tests due in large part to PLT activities that are conducted in English and Spanish. Melanie’s career in education began in Oklahoma in 1989 as a fifth grade classroom teacher. Then Melanie taught third and fourth grade in an international school in Saudi Arabia for seven years before moving to Texas in 1998, where she taught for one year in a private school. In her present position as an elementary science instruction specialist, Melanie has created a Science Resource Center for teachers in her district to purchase supplies and requisition equipment that helps them conduct hands-on science lessons and experiments. Melanie was named National PLT Outstanding Educator in 2007. Throughout his 33-year career with Weyerhaeuser Company, John Wainscott has taught all age groups about the environmental and economic issues related to forests, forest management, and the forest products industry through forest tours, classroom visits, and civic presentations. When the PLT program was introduced to Arkansas in 1988, John was one of the first foresters trained as a PLT facilitator, and in turn he has trained hundreds of educators around the state. Since 2002, he has made a special point of reaching out to urban educators, leading four to five PLT workshops every year in Arkansas’s major cities to provide teachers with the confidence and means to teach lessons outside. For years, he has worked in his local school district as a classroom mentor; he trained the entire faculty of Jessieville Schools in the use of PLT at one of their required in-service days. John is currently working with teachers and students at Jessieville High School to construct a school nature trail and teaching them to use stream monitoring equipment and technology such as GIS and GPS to plot the location of trees on the school campus. John is an active member of Arkansas’s PLT state steering committee. John was named National PLT Outstanding Educator Honoree in 2007. Larry Raymond is responsible for the forestry and wildlife management activities on the parish lands he oversees. He also supervises numerous environmental field days, school trips, and other educational events that incorporate PLT activities for several thousand children and adult visitors each year. Larry makes park facilities available for workshops, including outdoor activity areas and camps. He has been conducting PLT educator and facilitator workshops himself ever since he became a PLT facilitator in 1986, when the program was first introduced to Louisiana. He has made pre-service PLT workshops for education majors a regular component of the curriculum at Louisiana State University-Shreveport, and each year he teaches an environmental education class in the university’s Biological Sciences department using PLT activities. Larry introduced the Caddo Parish School Board to PLT, with outstanding results for the schools in the area, like Oil City Elementary Magnet School. Larry was named National PLT Outstanding Educator Honoree in 2007. Beth Girard helps teachers from 109 participating schools and organizations connect their students to the natural world using school forests as outdoor classrooms. She is also an outreach presenter for Eco Education and a volunteer educator for the Wildlife Science Center in Forest Lake and for the University of Minnesota’s Raptor Center in St. Paul, presenting around 250 environmental programs annually to more than 5,000 students. As a trained PLT facilitator, Beth leads 10 workshops a year, mentoring hundreds of formal and non-formal educators in environmental education. She specializes in researching resources, materials suppliers, literature lists, and other classroom learning tools that help teachers build students’ knowledge, skills, attitudes, and behavior towards the environment. Beth has also created several activity trunks to support Minnesota PLT’s early childhood supplement, for which she has a particular passion. Beth was named National PLT Outstanding Educator Honoree in 2007. 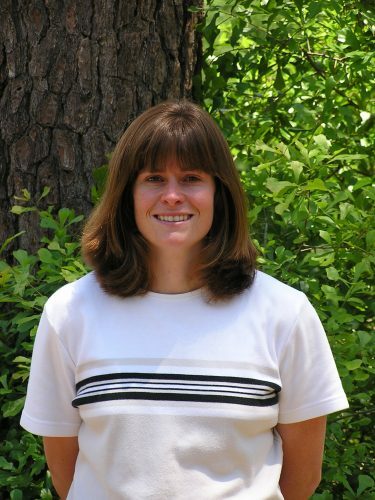 As Director of the Science and Technology Enrichment Program at the Ruth Patrick Science Education Center in Aiken, South Carolina, Anne Bohnet develops a wide variety of natural resource education programs for around 2,700 students in grades 3-12 each year. She inspires students’ interest in environmental careers by teaching science lessons outdoors in a natural environment and instructing students in the use of scientific tools. She conducts most of her environmental education classes, as well as PLT teacher-training workshops, at the National Audubon Society’s Silver Bluff Audubon Center, a 3,000-acre sanctuary located along the Savannah River. She also conducts student programs at the Savannah River Site, a Department of Energy facility, and she provides teacher workshops at the Ruth Patrick Science Education Center. Anne exemplifies PLT’s “awareness to action” philosophy of environmental education. She brings groups of students from select high schools to the Savannah River Site to work side-by-side with experienced scientists. Students get hands-on experience using forestry tools and managing five acres of public forestland. Empowered by increased awareness and knowledge, students explore different viewpoints, challenge ideas and values, and seek consensus on a course of responsible action. Anne became a PLT facilitator in 1994. She has trained over 500 teachers from Georgia and South Carolina in the use of PLT and other environmental education curricula. She procures grants to provide these workshops for free, as well as substitute pay for the teachers who attend them. She ensures that pre-service teachers at the University of South Carolina-Aiken are trained in PLT before they enter the classroom. Anne also writes PLT into the curriculum of many educational programs. Every year, she leads PLT wildland fire education workshops for PreK-12 teachers and arranges a prescribed burn at National Wild Turkey Federation’s headquarters in Edgefield, South Carolina. Anne is a true advocate of environmental education and she infuses PLT into just about every aspect of her work! Anne was named National PLT Outstanding Educator in 2006. PLT is one of several education programs that Auburn Carpenter uses in the aquarium’s outreach programs and its Aquavision videoconferencing series. In her first year on the job since completing her Masters in Education for Secondary Science from the University of North Carolina at Wilmington in 2004, she reached 5,200 students from new and diverse audiences through this innovative teaching method. Also in that same year, she became a facilitator for PLT; Project WILD; Project Aquatic Wild; Food, Land, and People; and Flying Wild, and conducted 30 teacher workshops for 430 teachers to rave reviews. Auburn has presented at various conferences on how to incorporate distance learning into environmental education programs. Her goal is to conduct a PLT workshop using videoconferencing! Auburn was named National PLT Outstanding Educator Honoree in 2006. Ellen Reynolds is a Master Gardener whose passions are plants, landscaping, and science. She established the non-profit Beagle Ridge Environmental Education Center on the 160-acre retreat and herb farm that she and her husband own in the Blue Ridge Mountains. Ellen is also a part-time interpreter at Douthat State Park and Mountain Soil and Water Conservation District and provides educational programs correlated to Virginia’s Standards of Learning to Bath, Alleghany, and Highland County schools. A vermicomposting project using PLT activities on the combined campus of Mountain View Elementary School and Clifton Middle School evolved into an outdoor classroom. Ellen went on to design and build an outdoor classroom at Covington High School. She now has plans to develop three more at elementary schools, in combination with Junior Master Gardener programs, and has taken the lead on a statewide initiative that aims to establish outdoor classrooms in all of Virginia’s 2,000 schools by the year 2014. In every situation, Ellen uses PLT to strengthen her educational programs because, she says, the beauty of PLT activities is that they are so easily adapted into lessons and outreach programs. Ellen was named National PLT Outstanding Educator Honoree in 2006.